Do its white-nationalist views have wide support? 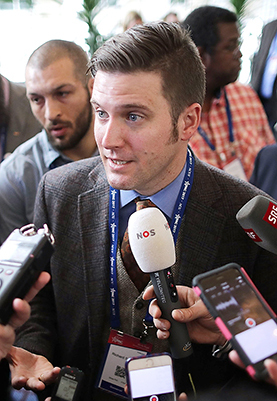 The “alt-right,” a loose coalition of white nationalists, white supremacists, anti-Semites and others seeking to preserve what they consider traditional Western civilization, is urging white Americans to band together and fight multiculturalism. The movement has gained more attention than any fringe group in decades because of its role in the 2016 election and its embrace of President Trump's America First agenda. Political observers say the alt-right has tapped into some whites' fears about immigration and the nation's changing demographics, where whites will soon be a minority. The alt-right remains small, but both conservatives and liberals denounce its beliefs as racist. They point with alarm to the alt-right's online use of profane language and images to attack social conventions — moves that are helping it gain followers. The movement's use of identity politics, some say, is reminiscent of how liberals used it to fight for racial and gender equality. A number of analysts note that hate crimes have been increasing since the November election and urge Trump to more forcefully speak out against them.